Also this year the classic car show was held in Padua, Italy. This show is the largest in Italy and one of the largest in Europe (this year almost 120,000 visitors), we believe it is almost as big as Tecno-Classica in Germany and Retromobile in Paris. Obviously the cars were thousands, both for sale and only to be shown, along with hundreds of spare parts and automobilia sellers. For what we have seen, the protagonists are Porsche and Alfa Romeo; in particular we have seen a proliferation of Giulietta and Giulia Spider which, in the older or special versions (the Veloce, of course), have by now very respectable quotations. For years now we read on blogs and forums that the “bubble” is about to burst, we actually believe that there is no bubble. 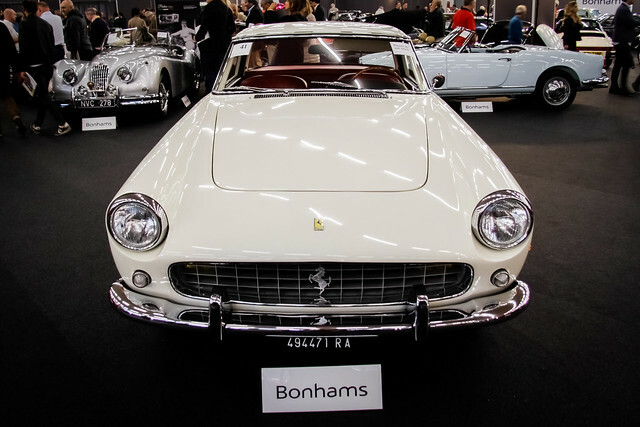 The market is mature and aware, the mediocre specimens remain still while the best cars (and we do not mean the most expensive cars), achieve high prices. For those interested, we have published a set of photos kindly provided by the press room of Auto and Moto d’Epoca. Gallery | This entry was posted in Events and tagged 2018, auto, classic cars, epoca, moto, padua, salon, show. Bookmark the permalink.